A dog barking is completely natural and it is unreasonable for us as owners to expect our dogs to never bark. We as humans don't always appreciate it but barking is the way our dogs communicate with each other and the world. That, however, does not mean excessive barking is acceptable behavior. Once you discover the true reason for the behavior, you can begin to learn how to get a dog to stop barking. The method that you use to stop the behavior will vary depend on the reason why your dog is making the nuisance noise in the first place. Don't worry, I'll explain everything you need to know about learning how to get a dog to stop barking in this article. Your pet likes to greet you after not seeing you for a while. This can lead to excessive barking. It's usually a happy bark, accompanied with a wagging tail and sometimes even jumping. This is one of the areas where owners, without being aware, reward their dog for their unwanted behavior. But more on this later. Your dog will bark when he wants something, be it food, water, or your attention. 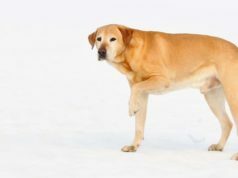 When learning how to get a dog to stop barking, it's important to ensure that you've met all of his needs before moving forward with treatment. We all know dogs are social creatures and when left alone for long periods they can become bored or sad. This can lead to barking due to unhappiness. Getting your dog to bark less will take a lot of time and effort. You have to realize that it won't happen overnight, but luckily you have various tools at your disposable when learning how to get a dog to stop barking. The easiest and quickest way to quiet down a territorial/alarm/defense barker is to manage their environment. By blocking your dog's sight line to potential barking triggers, you can stop the uncontrollable barking. When learning how to get a dog to stop barking, you can use privacy fencing or privacy hedges. This will not only bark-proof your yard, but also make your home look more attractive. Inside your home you can simply close your blinds or install a removable plastic film that makes windows opaque to obscure your dog's view. Be sure to place the window film a few inches above your dog's line of sight. You can also buy a spray-on glass coating. If your dog suffers from separation anxiety, it is a good idea to set up a safe and quiet placed for them when you aren't home. Choose a room in your home that is away from the front door and with limited distractions from the outside world. This can be a back bedroom, laundry room or spare space. White noise machine: This machine masks exterior noises that might trigger excessive barking, and it can even produce soothing sounds for your dog. 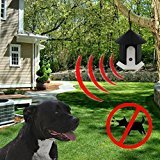 Ultrasonic anti-bark birdhouse – This bark-deterrent devise works by emitting an ultrasonic sound that dogs find unpleasant and startles them out of barking. Reviews of ultrasonic anti-bark devices, however, are mixed, with some owners saying their dogs didn't respond at all. This is not a comprehensive list and you are likely to find various other products to help you stop your dog's excessive barking. But, these are by far the most humane and also very popular among pet owners who have problems with barking dogs. Some dog owners ‘debark' their dogs but that is a very controversial method which does not address the underlying cause of the barking. It is a surgical procedure where the voice box is removed, leaving dogs with a raspy, instead of full, bark. There are complications and the operation can be life-threatening. Recall – This is perfect to call your dog away from any barking triggers like the doorbell ringing. Speak – This makes no sense, right? You want your dog to stop barking! Actually, training your dog to bark on command can help teach them when NOT to bark. Quiet – Combined with ‘speak', you can take complete control of your dog's vocalizations. Teaching your dog “quiet” will help them to calm down on cue. Sit/stay – This command is useful to keep your dog occupied when a barking trigger is nearby. A tired dog, is a quiet dog. Nearly every dog can do from a little extra exercise, both mentally and physically. A dog that has had a good workout will be less likely to react to barking triggers. Take the time to exercise your dog daily by going for a run or playing fetch. Mind-teaser games like “find the toy” or hide-and-seek will also tire your dog out. Don't yell. Speak calmly and firmly. 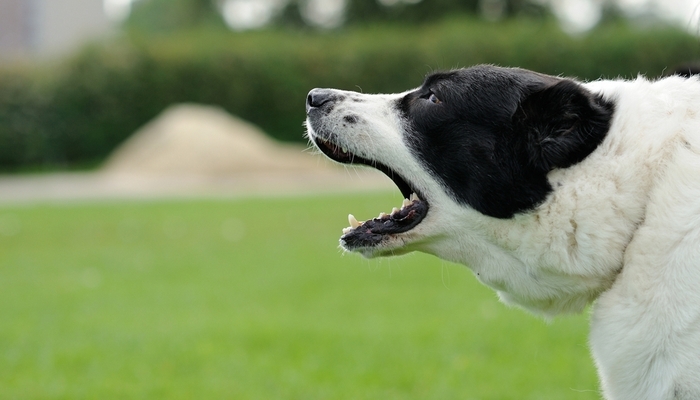 Shouting stimulates your dog to bark more as he thinks you are joining in. Yelling “shut up” or “quiet” won't mean a thing to your dog unless you have trained him/her to know what it means. Be consistent. Encouraging your dog to bark at the door bell but reprimanding him when he barks at strangers at the door is only confusing him. Don't muzzle your dog to keep them quiet for long periods of time when they are alone. It can be dangerous to your pet. Your dog regulates his temperature through the mouth by panting and a muzzles prevents your dog from doing this, as well as drinking water and eating. Don't punish your dog if he is barking due to fright or separation anxiety. You will most likely increase his anxiety, and therefore, his barking. Do not intensify your dog's barking by acting excited when you get home. It is best to ignore your dog until he/she calms down and then calmly say hello.